Fast forward to today, I’ll be the first to admit that I won’t leave the house without putting my brows on – yes, that girl. Since I pretty much have about 1.5 eyebrows (true story pre make-up) that will never grow back where I need them to, I’ve made it my make-up mission to try nearly every Allure magazine and/or beauty blogger recommended brow product out there to help fake the appearance of a normal set of brows. Before I get into it, I should give you a bit of background on my brows. Yes, I have 1.5 brows. They grow like Asian brows usually grow: upwards in the inner part, across in the middle and downwards at the end. They tend to have more length than actual volume, which means if I tweeze one hair away because I think it’s out of place, I suddenly have a huge gap where the eyebrow line should naturally continue. I trim my brows just slightly when needed instead of tweezing (well, because I don’t have anything to tweeze) and lastly, I’ve found the most realistic and longest-lasting approach is to do a two-step process of filling them in with some kind of pencil/cream product and then setting with a brow powder. I know two steps — that’s intense, right? Ok, stop reading right here if this is too much brow know-how for you right now. Ok, this stuff rules my world. In the past, I’ve always told clients that they don’t necessarily need to buy a brow powder when a matte eyeshadow could work just as well because 1) it’s true, 2) I like when products can do double-duty and 3) it’s always fun to be a Make-up MacGyver. 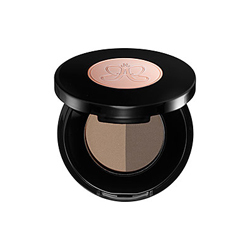 With Anastasia Brow Powders, I love the range of shade selection – with 10 duo shades to choose from, every person can find the perfect fit and not be confined to a spectrum of only light/medium/dark. I also love how each product comes with two powders (a lighter one for the inner part of the brow and a slightly darker shade to define the outer part of the brow). 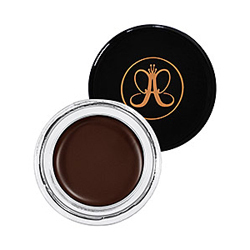 For my own personal use, no matter what initial product I use – whether it be pencil or a cream for step 1 of my brows – I always set using Anastasia Brow Powders to give it more longevity. These powder shadows also win valuable points for usability – brow fakers/fillers of any level can use this product with ease (…and an angled brush!). 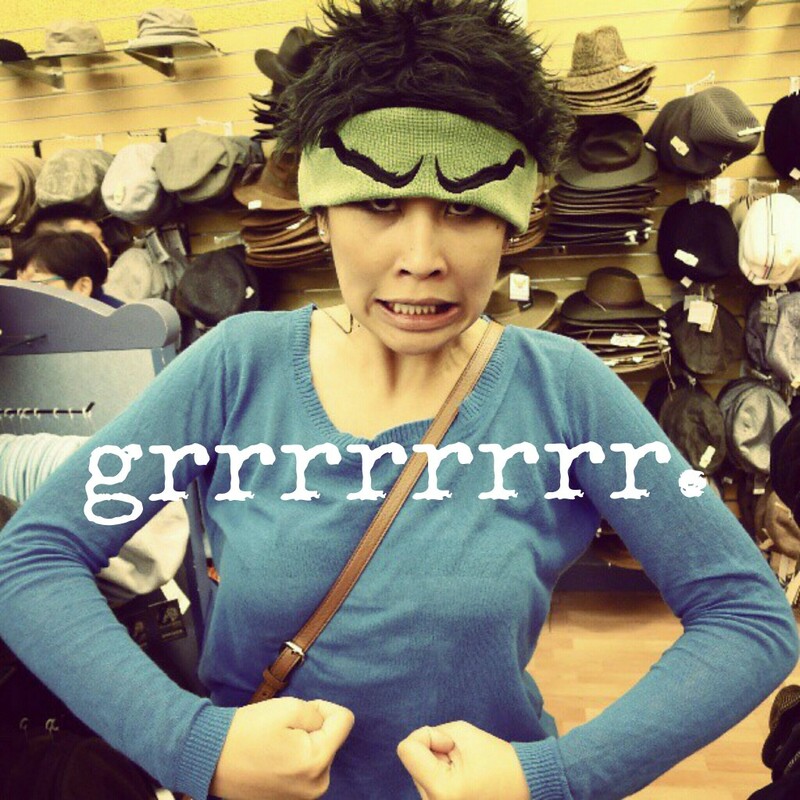 Side note: I do really like using Dipbrow as cream eyeshadows though (enter MacGyver mode). I was recently introduced to this via a package of goodies from the good people at Benefit. 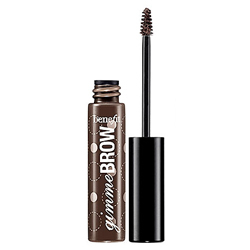 I love Gimme Brow in Medium/Deep – I apply it all over my brows and blend to add some bulk and fill in gaps. The smaller tapered wand allows for more precision as you fill it in and I clean up any excess by shaping and wiping with a qtip. 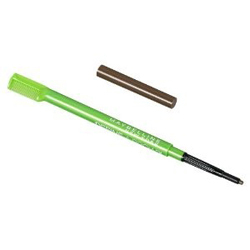 I find that it has more lasting power than the Anastasia Dipbrow, but of course not the precision of application that using an angled brush with the DipBrow provides. 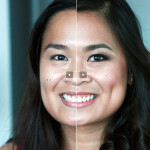 Overall, Gimme Brow is best for someone who has minimal filling in / darkening to do and I love that it’s user-friendly to all levels of brow fillers. I was gifted this so I’m actually not sure if it’s available in Canada(?). It comes in 2 colours, and the darker of the bunch #2 Brown runs a little too warm for my liking. I find brow colours with taupes and cool tones work better universally across all skin tones and hair colours (well, unless you’re a redhead). For the $30+ (estimated) price tag on this luxury brow pencil, there are much better options and also better colour selection amongst other more affordable brands. Pass. I’ve loved these pencils for a longtime and still do! The tiny nib of this pencil means precision and control when filling in your brows and mimicking hairs with those short feathery strokes. The self-sharpening mechanism makes it easy to reset and do all over again on the daily. The formula is a good mix of pigmentation and wax so you easily get the right amount of intensity and brows never look overdone. 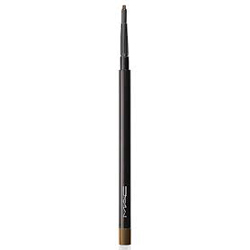 MAC Brows come in a good range of colours and get tons of points from me for being always easy to use. I love this Aqua Brow. Now this stuff is waterproof! It was the one product I could rely in the heat and humidity of Thailand so it gets extra marks in my books for that reason alone . It’s a bit intimidating to use at first as it’s literally a gel that comes out of a tube (with which you use an angled brush to apply), but once you get the hang of it, the long-lasting pay-off is sooo worth it. Also, I should warn you that a little goes a long way. 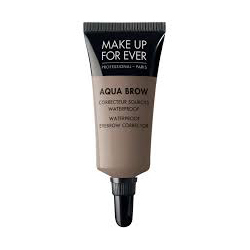 Aqua Brow is the one thing that keeps my brows consistent-looking throughout the day so that I don’t realize later in the evening that I’m only walking around with my au naturel 1.5 brows. I personally love-and-cannot-live-without Aqua Brow and it’s part of my own daily routine, but I’ll also say that it’s not for everyone. It’s definitely for the medium to advanced brow filler though, as you have to work fast with its rather quick-drying formula. Once it’s set, it’s locked in place until you wash your face at night. 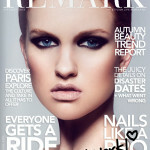 I definitely recommend it for make-up artist peers when you need your make-up to go the distance for your bridal clientele. My only gripe is that I wish it was available in more colours rather than the 4 that it is now **scratch that! ** it comes in 7 colours now including the new Light Brown, Taupe and Brown Black so now I have even more reasons to love it! One last honourable mention goes to John Frieda Fly Away Tamer – this thing is magical. 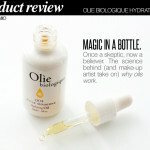 I use it to tame hair flyaways AND to tame unruly brows. 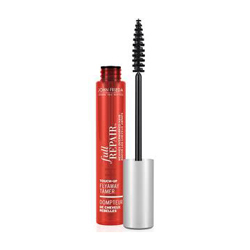 I find it holds way better than the old clear mascara trick on the brows. 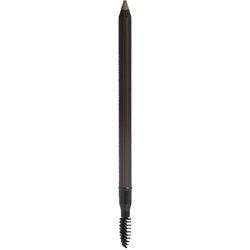 Once you apply this, your brow look is set for the day with a hold that’s not too stiff (just don’t over-apply). I use this as a finishing touch on my brows (after they’ve been drawn in), especially for those rogue brow hairs that want to grow away from my face. You know it happens. 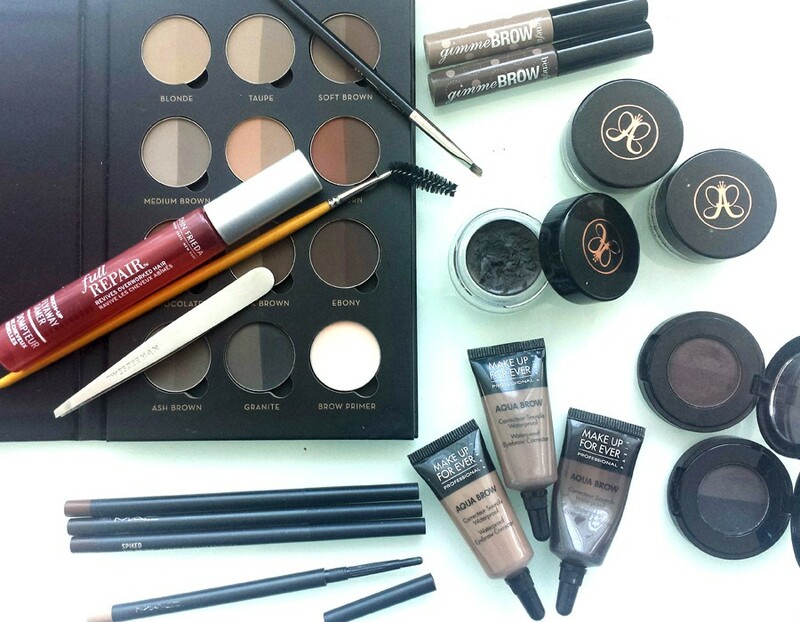 I can’t stress enough the importance of brows to a finished face. 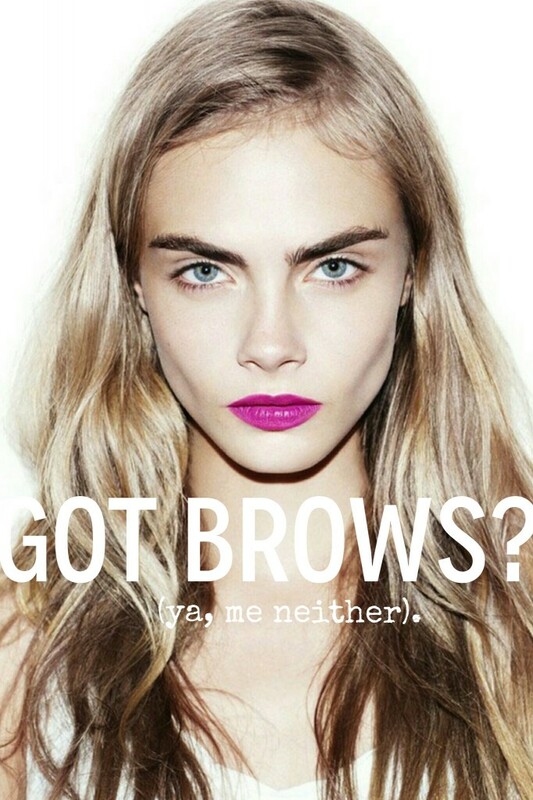 Good brows polish your look, frame your face, make your eyes look bigger and make you look younger. What’s not to love and covet?! Put. The. Tweezers. Down. People.